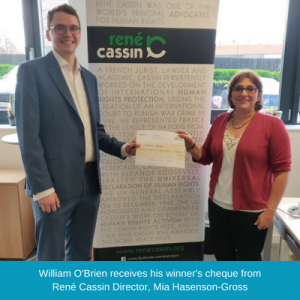 Every year René Cassin runs a ‘Human Writes’ essay competition to get people thinking about important human rights issues. The Universal Declaration of Human Rights was agreed 70 years ago this year. 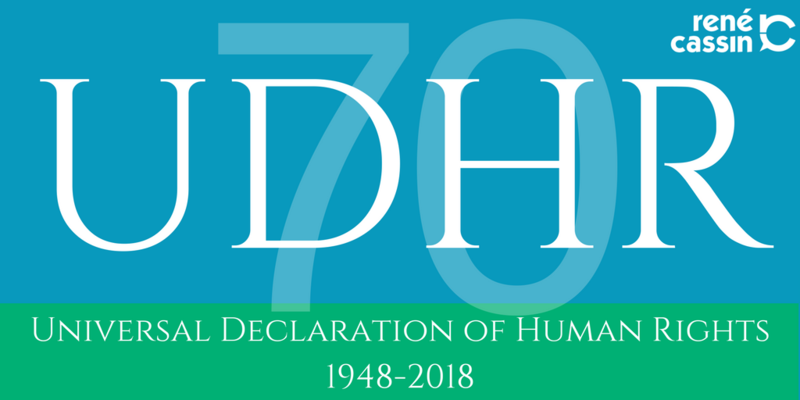 As the organisation named after Monsieur René Cassin – the ‘father of the Declaration’ – this competition is part of our programme to mark the UDHR’s anniversary. We are very grateful to Joshua Rozenberg, Britain’s best known commentator on the law, for judging this year’s entries. Congratulations to William, who wins £100 and a copy of East West Street, Philippe Sands’ award-winning account of the Jewish lawyers who laid the foundations of international human rights law. “This is a well ordered and well written essay. It starts with a clear summary of the issues and tells us of the UDHR’s context, comparing it with and distinguishing from similar documents. At the same time, it assumes the reader has some knowledge of the surrounding literature. The author then tells us he is going to test the UDHR against developments since 1948 in two fields, at least one of which may take us by surprise. He decides that the declaration has withstood changes in technology, while hedging his bets on AI. Turning to geopolitics, he is concerned at developments in China, telling us that the UDHR must not sacrifice its core value to move with the times. His conclusion combines caution with optimism. Download William’s essay here, or read it in full below. Joshua Rozenberg praised Emma’s “well-informed assessment of a demanding topic” and found Madeliene’s essay “a promising analysis”. You can download both Emma’s and Madleine’s entries here. Towering Monument or Crumbling Relic? At 70, is the Universal Declaration of Human Rights still fit for purpose? Its seventy-year life makes the Universal Declaration of Human Rights (UDHR) an epoch-defining document. It addressed the key difficulties facing many human societies in the middle of the twentieth century and, indeed, in some cases has pre-empted newly arising issues and conflicts. The question posed here is whether it is time for the UDHR to gracefully retire, or to be handed down to successive generations as not just important history but a valued inheritance. Before we can consider whether the UDHR is fit for purpose, we need to consider what its purpose was. As mentioned above, the UDHR was born of the mid-twentieth century. It formed a component part of the international community’s response to the collapse of standards of government behaviour which tragically culminated in mass murder and genocide during the Second World War. The darkest horrors of that period spurred on many of the lawyers, philosophers, diplomats and politicians who drafted the UDHR and saw it through to adoption by the United Nations (UN) General Assembly. The UN followed the League of Nations, and therefore the idea of a multilateral organisation aiming to achieve international cooperation and maintain peace was not new. Neither, indeed, were some aspects of the UDHR. At a national level, declarations and legislation had provided for fundamental rights for centuries, key examples being English Magna Carta (1215), the French Declaration on the Rights of Man and Citizen (1789) and the United States’ Bill of Rights (1791). International agreements followed in the nineteenth century, focusing on particular moral outrages. The major European powers condemned slavery by the Final Act of the Congress of Vienna (1815), declaring it “repugnant to the principles of humanity and universal morality”. The First Geneva Convention (1864) provided for the humane treatment of wounded soldiers. The UDHR shares some similar purposes to those earlier instruments. The key difference is its universality. The UDHR is universal in scope in providing protection for everyone and to do so in all the areas which were agreed to be fundamental. The preceding examples cited above had been limited to particular issues which caused concern, such as the slave trade, or limited their protections to certain privileged classes or groups of people, as Magna Carta did. The author’s view is that the UDHR took this universal approach not because of a vaulting ambition – a moral crusade – but pragmatically, and based on evidence. Humanity’s experience of the first half of the twentieth century had provided a clear message: any limitation on the protection of human dignity provides a chink in the armour of civilisation which can be exploited by the worst parts of humanity. The most concise articulation of this known to the author is given in Martin Niemöller’s poem, First they came. It was incumbent on the victorious witnesses to those atrocities, minded as they rightly were to see them never repeated, to embrace the challenge of formulating a set of rights to which all could agree. With the historical ground laid out, attention can now be paid to the current situation. Many of the same conditions exist: undemocratic governments rule, disputes between states and groups occur, wars and genocides still take place. This clearly makes a muscular human rights system very important. But does the UDHR need to form a part of that? This essay now focuses on two key areas of change since 1948 and considers the challenges to the UDHR that flow from them. These are (1) technological developments and (2) geopolitical developments, especially the rise of China. a) The environmental issues flowing from climate change – human rights associated with enjoyment of the environment, but also relating to expropriation of property and curbs on freedoms relating to pollution of the environment. b) The growth of data – between government surveillance and social media, private and public data have grown exponentially in recent years and are likely to continue to be a major issue for people around the globe. c) The changing nature of human health – lifespans continue to increase in the developed world as many are brought out of poverty in the developing world. The ethical questions around quality of life and the end of our lives are informed by human rights considerations. d) The development of Artificial Intelligence (AI) – AI makes us question what it is to be human, and, if some theorists are to be believed, raises issues relating to the automation of a greater proportion of work currently done by humans. An answer in relation to (a), (b) and (c) is that the UDHR has dealt with many of the changes so far. The social rights contained in the UDHR are an important part of the human rights framework here. Health was included in the UDHR long before many modern advancements in medical science, recognising it as a fundamental part of human dignity without attaching it to particular conditions as existed in 1948. 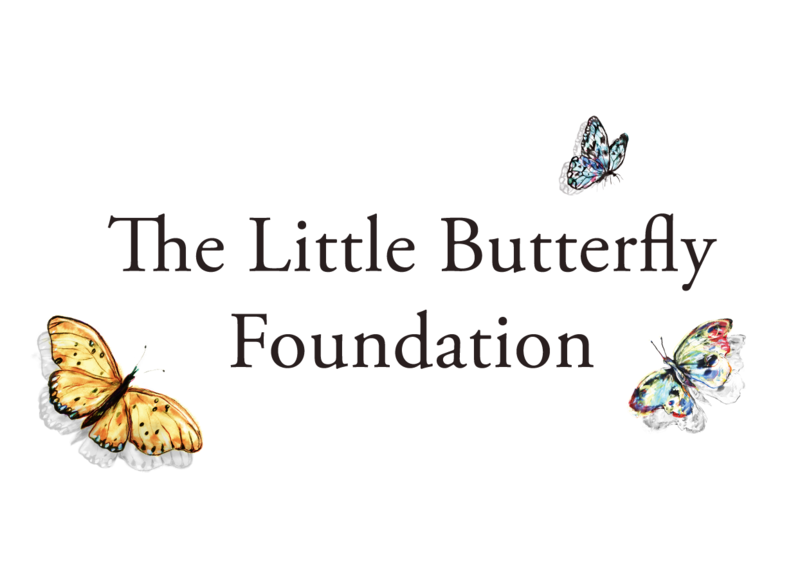 The UDHR is a touchstone for areas, such as privacy and the environment, where an old principle of a right to a private life can be brought to bear in discussions of new technology which revolutionises how we communicate as well as changes in industrial and ecological conditions. The challenge, if any, from AI depends on how it develops. If AI does advance to the point that machines will be capable of doing everything a human can, many of the rights in the UDHR may become truly redundant, such as the work-related rights in Article 23. By the same token, if human labour were to lose its value because of the development of AI, some rights might become crucial. These might be those rights that protect human life and flourishing, and defend the value of human life entirely separately from its economically productive capacities, such as Articles 19, 22 24, 26, and 27. The UDHR is not spared from the potentially transformative nature of AI, but is entitled to the same defence as everyone else – namely that such developments may indeed never occur. During the drafting of the UDHR, one of the Commission’s members, Peng Chun Chang, argued for a universal philosophical basis for the document, reaching for Chinese classical scholars such as Confucius and Mencius. But it was not until 2004 that the People’s Republic of China amended their constitution to include respect for human rights, and it did so on its own terms. Human rights, according to this view, have been used as a tool of the West to bully the East, and hamper their development; human rights with Asian values take a different form. This criticism is amplified by the growing economic and political influence of China. 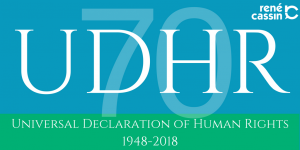 The UDHR was a product of political and diplomatic negotiation and there is no reason why it should be immune from such considerations during its life. However, though Chinese state media have said the Chinese “human rights outlook is in keeping with the basic principles of the [UDHR]”, their idea of human rights fundamentally wounds the UDHR. This is because it undermines the idea of human rights as universal by proposing a system of multiplicity of human rights frameworks, of fundamental entitlements, and implicitly therefore of humanities. The purpose of the UDHR was to bring an end to the divisions between groups and states that lead to the atrocities of the twentieth century through recognition of one universal set of values and rights. This cannot be compatible with a fluid conception of entitlements across different hemispheres or state borders. There is no easy way out for the UDHR in response to the shifts in geopolitics which make this criticism urgent. What can be said in defence of the UDHR is that it has proved itself adaptable in the face of significant changes in technology as described above. In geopolitical terms, it has also witnessed the end of the Cold War and the commencement of the War on Terror, while throughout maintaining relevance. The need to move with the times and to consider the days of each generation is key to the success of any document or framework. However, it should not be at the expense of any core purpose or values. To retain the UDHR while sacrificing its universality would be a pyrrhic victory. As described above, there are a number of present and future challenges to the UDHR. Some pose a significant threat to the international human rights system, of which the UDHR forms the basis. The purpose of the UDHR remains as important as ever: to safeguard human dignity around the world. It remains fit for this purpose at the moment, but geopolitical and technological considerations particularly ask deep questions about the role of human rights and how they should be encouraged and enforced. It may be that soon, the UDHR is neither useful nor relevant to contemporary humanity and will at that point become merely an important historical document. For now, it remains a powerful living force for the protection of humanity.